Who couldn't use a good luck charm? Especially one this precious! 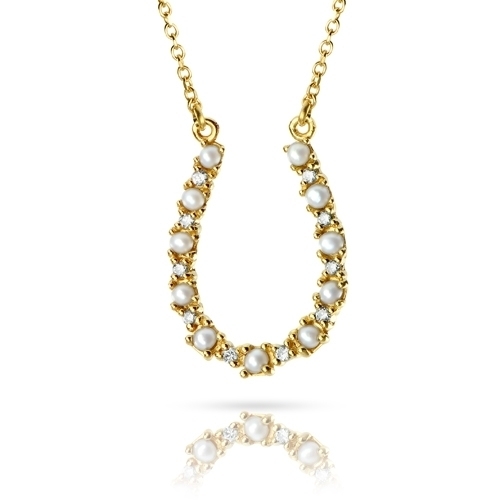 This 18" necklace has been crafted in 14K yellow gold and features 11 lusterous 2mm seed pearls and 10 shimmering diamonds for a total weight of .08ct.